Scottish wildlife is abundant and extremely varied thanks to the diverse landscapes and biospheres of Scotland. We’ve whittled that list down to our 26 favourite Scottish animals, birds, marine life and insects. To help you find the Scottish wildlife you're most interested in we've split this article into chapters. If you're interested in visiting Scotland to see the wildlife, be sure to check out our holiday parks in Argyll. They are well positioned to act as a great base for all you wildlife spotting adventures. Scotland's birds of prey have to be at the top of any article about Scottish wildlife. All four of the birds mentioned below are iconic but also notoriously difficult to spot. Where possible, we've provided you with some tips and shortcuts to help your chances of seeing these fantastic birds whilst in Scotland. 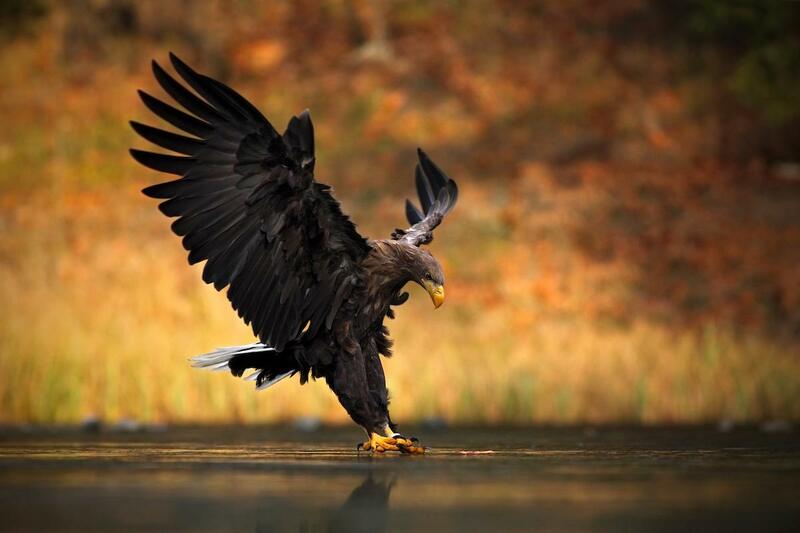 Golden Eagle's are the second biggest bird of prey in the UK - only the White Tailed Eagle is bigger. They live in mountain and moorland environments and prey on medium-sized mammals and birds such as rabbits and grouse. Golden Eagles can regularly be spotted in the northern Scottish islands and on the mainland at Drumochter Pass Viewpoint. This viewpoint is two hours drive from Loch Lomond holiday park. 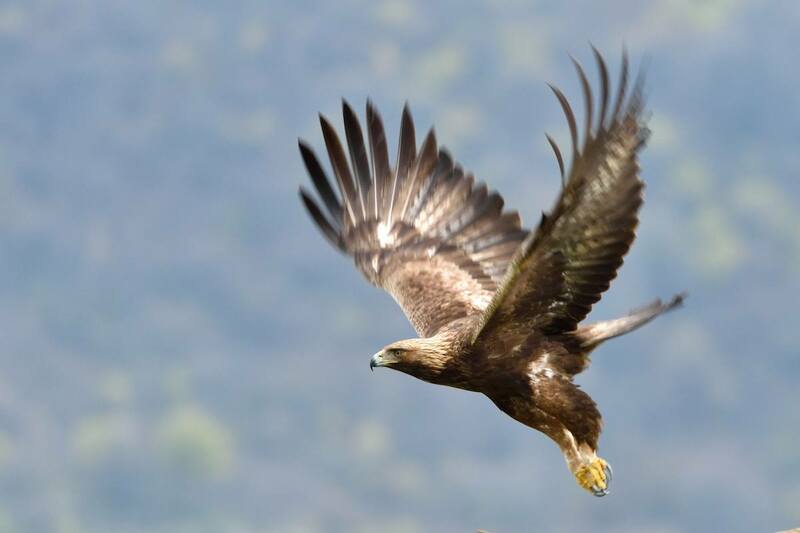 Despite being twice the size, when spotted in flight, Golden Eagles are often confused with Buzzards. To tell them apart pay attention to their flying style. Eagles tend to glide more whereas Buzzard's will flap & glide. The White Tailed Eagle is another bird of prey native to Scotland but was hunted to extinction in the UK by 1918. The species was reintroduced by the RSPB in 1975 and numbers have slowly grown ever since. 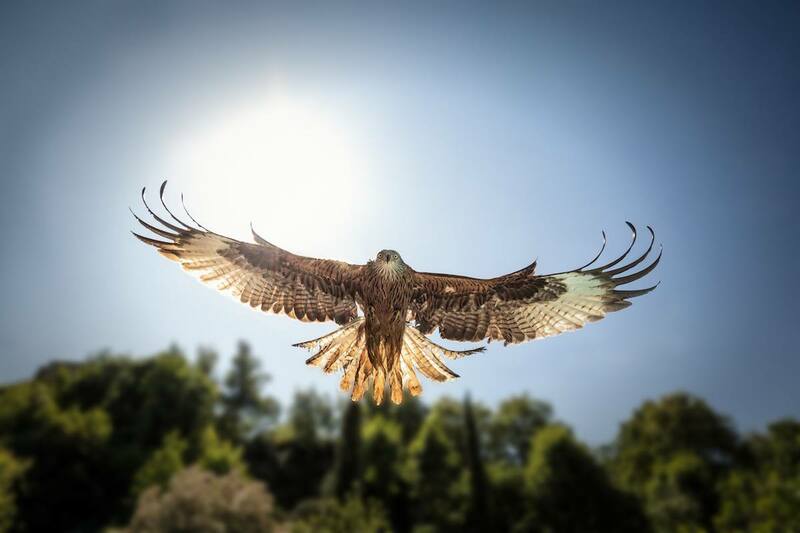 These birds are huge - their wingspan can reach up to 2.4 meters and they are the biggest bird of prey in the UK! White Tailed Eagles are also known as Sea Eagles - they hunt mainly for fish but also for medium-sized birds and mammals. In Scotland, their habitat tends to be remote highlands and craggy cliffs on the North West coastline. Red kites are majestic raptors that are native to Scotland. Sadly, they were wiped out in the late 19th century due to human sport hunting, taxidermy and egg collecting. However, in the late eighties, a project by the RSPB Scotland and the Scottish Natural Heritage project reintroduced the bird to Scotland. The project has been a success and by 2012 there were 214 nesting pairs throughout the country. Argaty Red Kites is a red kite feeding station located close to many of our parks in Argyll. The facility is purpose-built to allow visitors to enjoy the birds without disturbing the red kite population. Another bird of prey which hunts for fish is the Osprey. It has vision that is specifically adapted for locating underwater prey from the air. Once an Osprey has spotted a fish, it will stalk it and then momentarily hover before plunging into the water feet first to grab its prey. Ospreys are native to the UK but were driven to extinction in 1916. However, their numbers have been steadily increasing since reintroduction in 1967 and it is approximated that there were 240 breeding pairs in 2012. 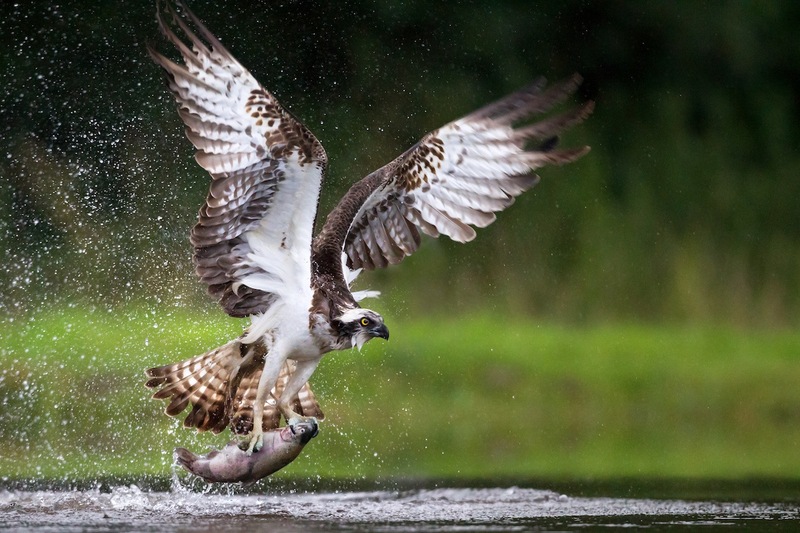 Ospreys can be found in Scotland in Speyside, the Cairngorms and Perthshire. The Loch of the Lowes Wildlife Reserve provides a safe haven for many ospreys in Scotland and the Scottish Wildlife Trust have a live webcam (above) of an Osprey's nest so you can watch these fantastic birds 24/7. The Scottish Wild Cat is so special we had to give it it's own chapter in our article on Scottish animals and wildlife. It's extremely unlikely you'll be able to see a Scottish Wild Cat in the wild so you're best bet is to see them at The Highland Wildlife Park near Aviemore. The Scottish Wildcat is Britain's only wild feline and only remaining large predator. 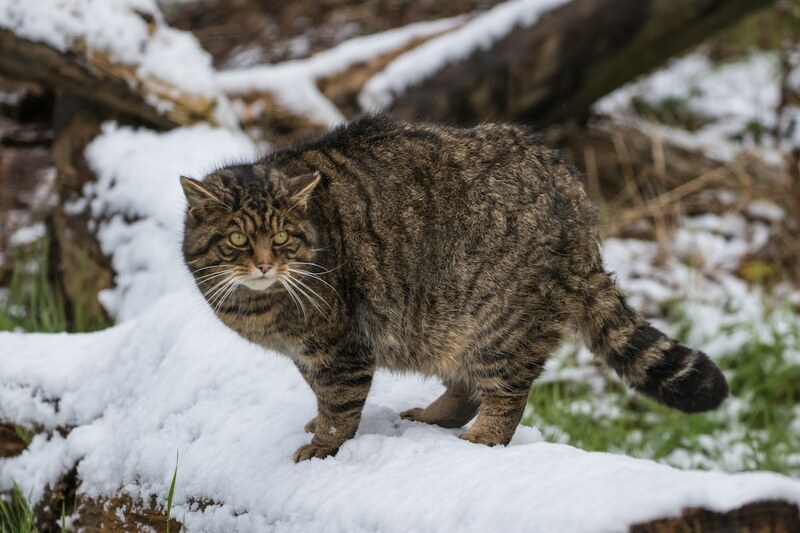 Scottish Wildcats are classified as Vulnerable by the International Union for Conservation of Nature and it is estimated that there are between 100 and 300 in the wild, concentrated in very remote locations. The main threat to this wonderful species is interbreeding with feral domestic cats which is slowly diluting their gene pool through hybridisation. The cat's appearance means it is easily confused with tabby domestic cats. However, the Scottish Wildcat has a larger skull, is more muscular and has a thicker & bushier tale than it's domestic cousin. Sight - a wildcats night vision is 7 times better than a human. Hearing - a wildcat's 180-degree rotation of its ears allow it to pinpoint potential prey from within heavy undergrowth without actually seeing it. Balance - the area of the brain with allows the cats to locate themselves within physical space is highly developed. This means the cats are very capable climbers and runners - both key skills for predators. The cute Scottish Wild Cat may have stolen many people's hearts but there are plenty of other interesting animals in Scotland. Below are our favourite six - ranging from the huge red deer, down to the tiny water vole, Scotland has a huge amount of biodiversity to match its varied landscapes. Related to Weasels, Pine Martens are found throughout Scotland as well as in Northern England. They are easily identifiable by their pale yellow bib on their chest that contrasts against the mid-brown fur that covers the rest of their body. Pine Martens live in woodland and feed on small rodents, eggs, birds, insects and fruit. During summer their favourite food is bilberries which can cause their dropping to turn blue! Spotting a Pine Marten can be difficult as they are mainly nocturnal creatures. 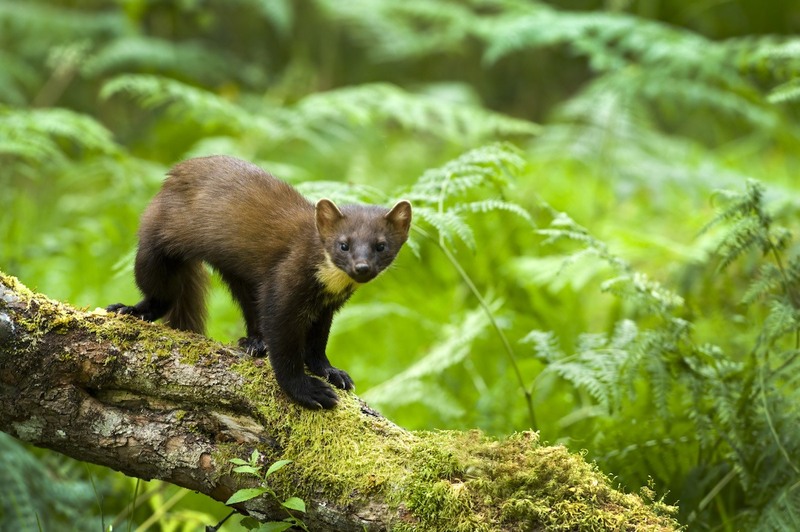 However, they can be active during the day and a number of local Argyll business have marten spotting facilities, giving you a good chance of seeing them. The site of a male Red Deer with its large antlers, roaming across moorland is an iconic view of Scotland. For many nothing represent Scottish wildlife better. Unlike many of the animals of Scotland that feature in this article, the Red Deer is relatively common and can be found across the Scottish highlands, open mountains and forests. This is because the red deer have no predators left in the wild. Stags, male red deers, which can stand at 4ft tall at the shoulder, are Britain's largest wild animal. Rutting season takes place each year between mid-September and late October. 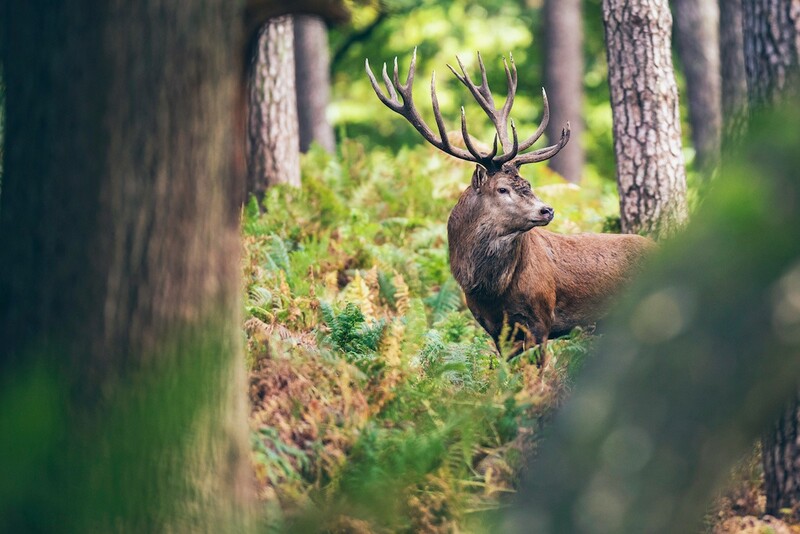 During this period rival stags will fight using their antlers in a bid to become the dominant male, the position that gives them mating rights with female deer, known as Hinds. Red Squirrels exist in small isolated populations throughout the rest of the UK, but in Scotland Red Squirrels still maintain some stronghold populations. They can be easily distinguished from the more dominant Grey Squirrel as they are smaller and have reddish-brown fur and tufts of hair behind their ears. During winter their colouring can become a little darker. 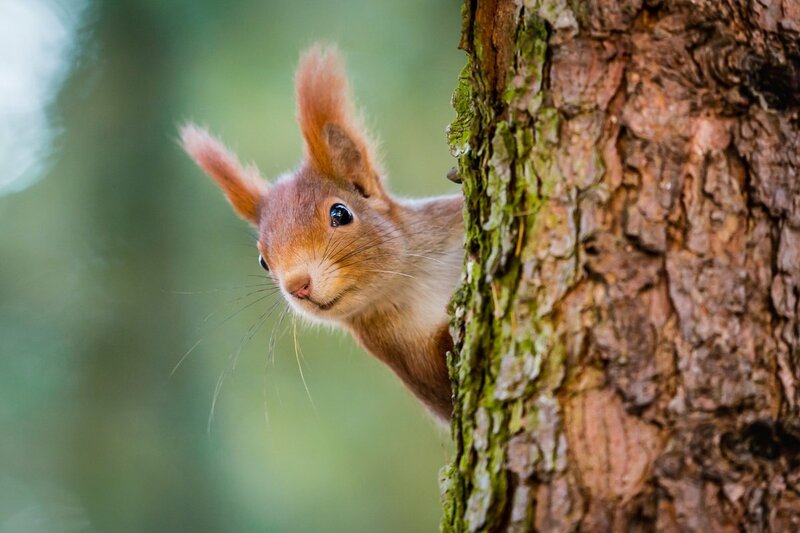 Red squirrels are found in woodland and forests and can be spotted all year round as they do not hibernate. Instead, they keep stores of their favourite foods such as hazelnuts and pine cone seeds to allow them to survive during periods when fresh food is not easily available. The Eurasian Beaver is another species that was hunted into extinction in the UK, this time as far back at the 16th century. However, during the late 20th century this species was reintroduced to Scotland as it is understood that by coppicing woodland and damming rivers, beavers can have a positive effect on biodiversity in an area. In Scotland Beavers have now been recorded in the wild at 40+ sites, with the largest population in the catchment area of the River Tay. 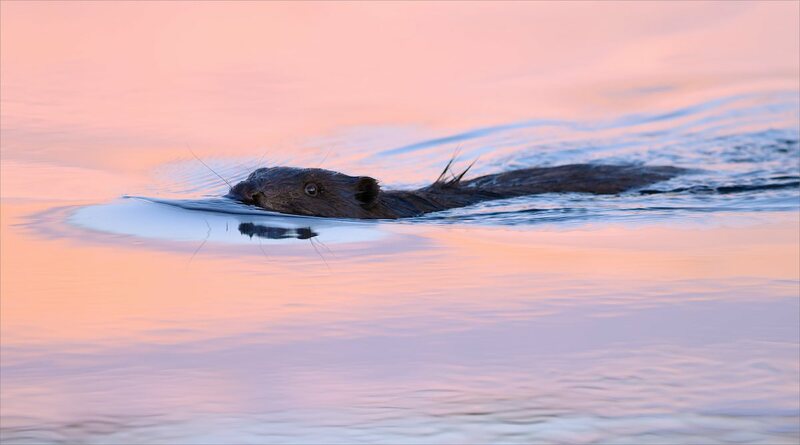 Beavers damming behaviour will flood areas which can benefits populations of otters, water shrews and voles, birds and dragonflies. The dams also store water in periods of drought and regulate flooding in periods of heavy rainfall. The Water Vole is widespread throughout Scotland other than in the isles. It is Europe's largest native vole and to the untrained eye has a similar look as a rat. However, it has fur on its tail and a rounder nose and face than it's cousin. 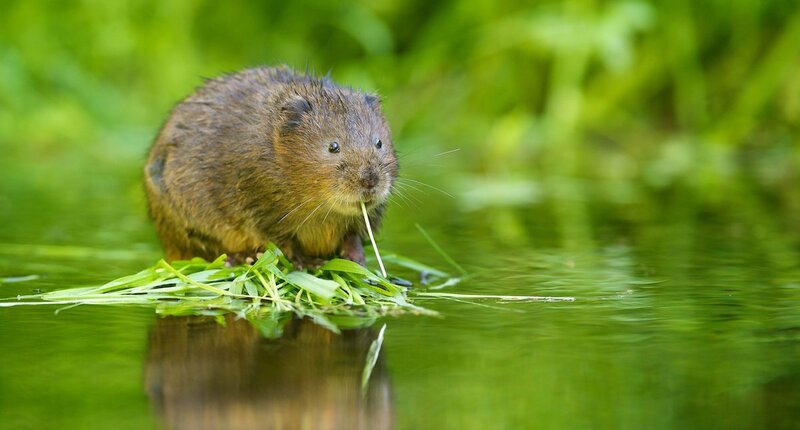 The Water Vole is a protected species under the Wildlife and Countryside Act as it's population has fallen from eight million in 1960 to below one million in 1998. These animals are herbivores and consume 80% of their body weight in various vegetation each day. Mountain Hare's are masters of camouflage and actually change colour with the seasons. During summer their coat is a grey-brown before turning to white during winter to blend in with the snow and ice found in the Scottish Highlands. 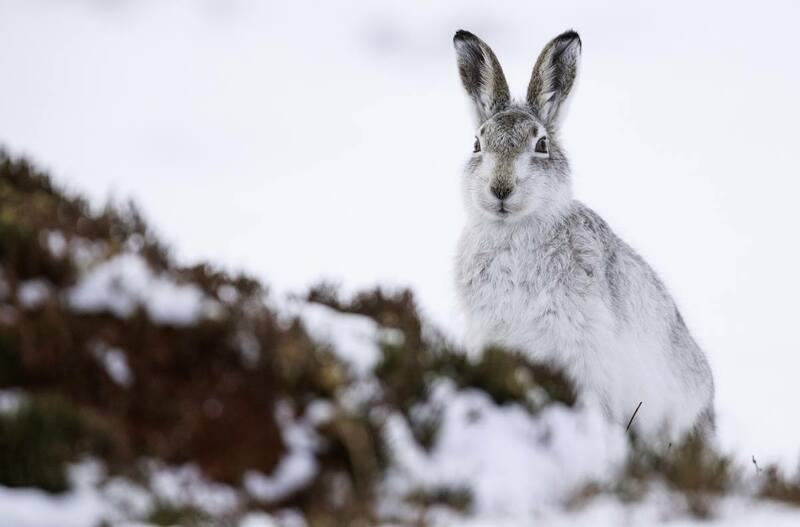 The Mountain Hare is native to the Scottish Highlands but can now be found in other areas of the UK too. During the day they graze on vegetation and shelter in shallow depressions in the ground or heather of the Scottish uplands. If disturbed Mountain Hares will bound away in a zig-zag pattern at top speed. When not at sea, Puffins natural habitat are cliffs. They are found in various areas of the Scottish coastline, on the Scottish Isles and throughout the UK. These lovely birds are unmistakable with their distinctive black and white bodies, orange feet and multicoloured bills. Puffins feed on fish which they catch by diving into the sea, using their wings to swim and grabbing their prey in their beaks. 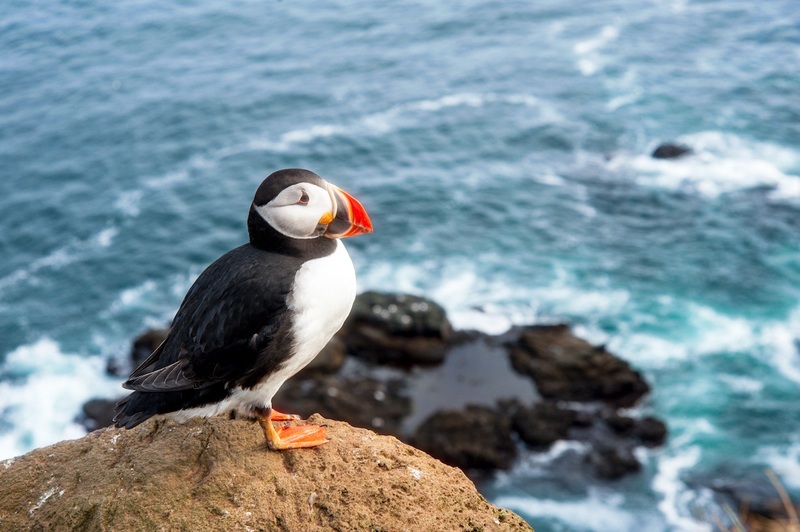 Puffins live in burrows on the cliff, and once a year, during breeding season, will pair off to produce a single egg. The resulting chick will stay in the burrow until they're sufficiently developed to go to sea and fend for themselves. Black Grouse are medium sized game birds that are found across the uplands of Scotland and Northern England. 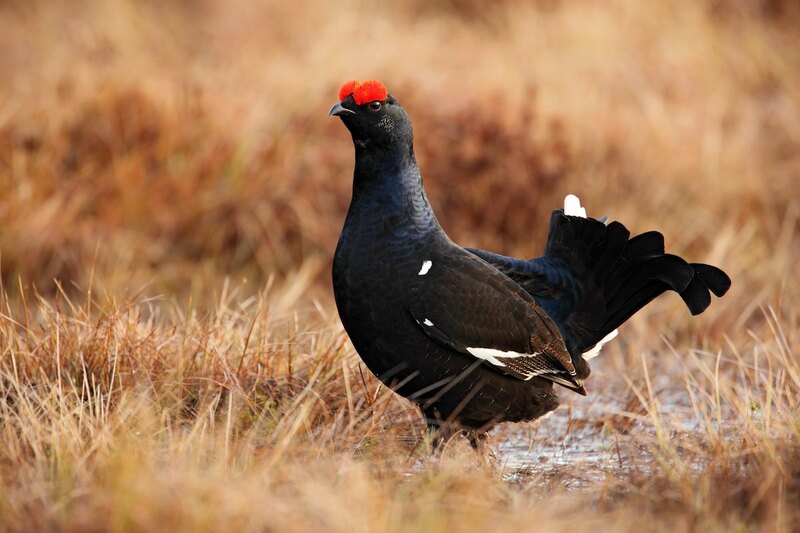 It is the male Black Grouse that is all black and has a striking red wattle above their eyes. The female Black Grouse are smaller and are actually a grey-brown colour. The male Black Grouse are famous for performing "leks" - a display where they raise and fan out their tails in an attempt to gain dominance and female mating partners. Leks happen in the very early morning so you'll have to set an early alarm if you want to be out of bed in time to see one in the dewy Scottish uplands. 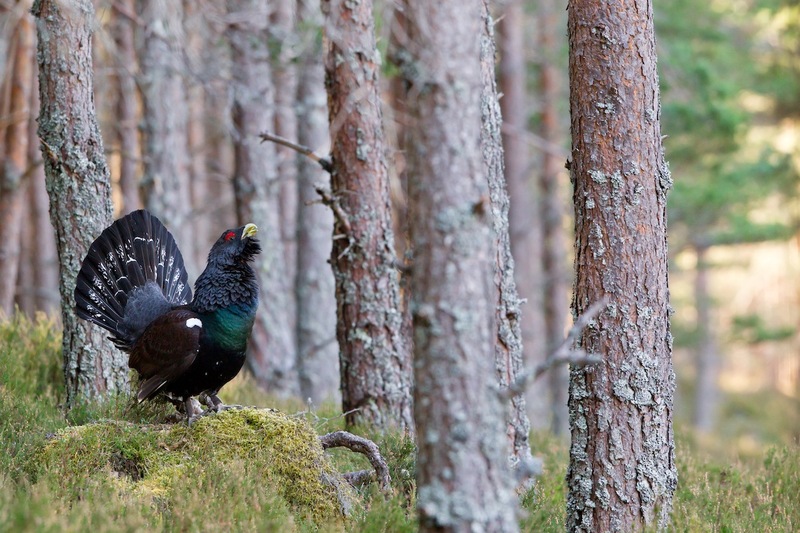 The Capercaillie is the larger cousin of the Black Grouse. It is another bird that performs mating rituals called "leks". Leks of Capercaillie feature clicking and gurgling noises and can turn violent between multiple rival males, leading to injury or death. At home on the ground or in trees, this big bird is found in the pinewoods of northern Scotland but also occasionally in more mature oak woodlands. The Capercaillies in Scotland were reintroduced from Sweden after the species became extinct in 1785. 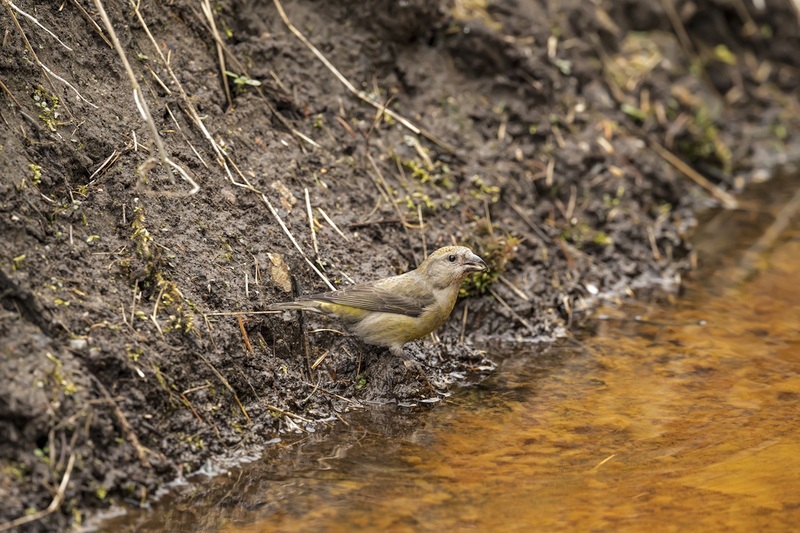 The Scottish crossbill is the UK's only endemic bird species - meaning it isn't found anywhere else in the world! This bird is a member of the finch family but is more "chunky" than most finches. It's most obvious feature is it's "crossed over" beak when it's bill is closed. However, it can be easily confused with another species of common crossbill, to which it looks a-like. The Scottish Crossbill is a semi-nomadic bird and moves between different coniferous woodlands in the North of Scotland in different years. The Kingfisher is an unmistakable blue coloured bird found across much of Scotland. Its habitat is slow flowing rivers and streams with low-hanging trees. The Kingfisher will perch on the branches and wait for small fish to swim past. At that moment, it will dive into the river to catch its prey. 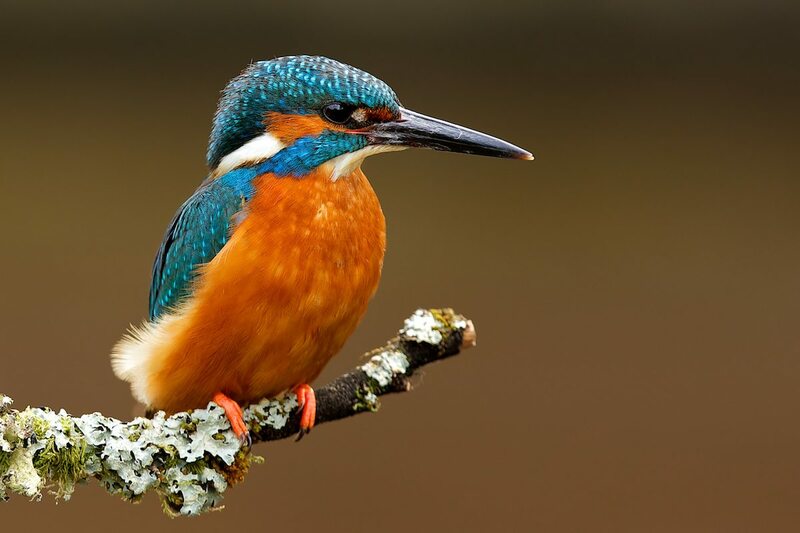 In and around our parks in Argyll, where we have many rivers and lakes, Kingfishers are found all year round. Spotting this wonderfully colourful bird is sure to bring a smile to your face. Scotland has 10,250 miles of coastline so marine wildlife was bound to play a big part in this article. We've featured four of our favourite marine dwelling creatures below. A couple of them are fairly easy to spot, but one is an extremely rare visitor to Scotland. Basking Sharks are a gentle giant! Despite being the second biggest fish in the oceans (only the Whale Shark is bigger) they only eat on plankton. They consume it in huge quantities by filtering it out of seawater as they swim along with their mouths wide open. 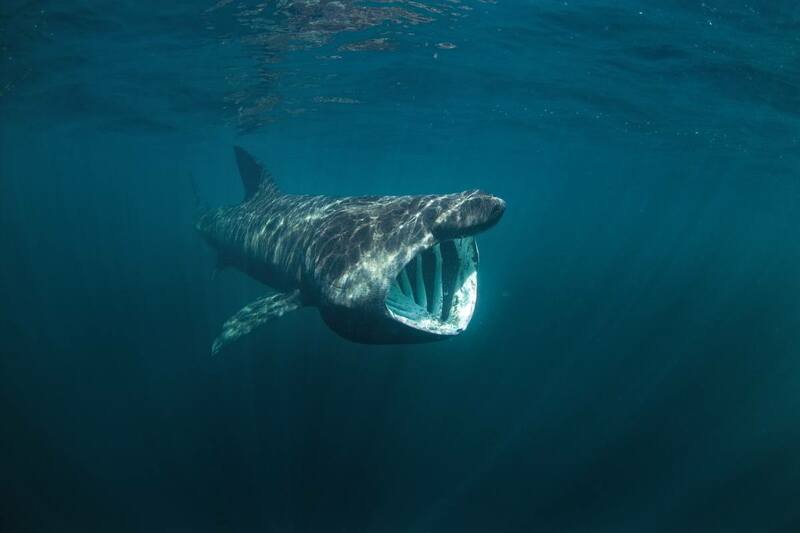 Basking Sharks live in Scottish waters all year round but the best time to see them is during the summer months when hundreds will be in the clear blue waters off the West coast of Scotland and around the Inner Hebrides. Our Loch Awe Holiday Park is located only 25 minutes drive from Oban where Basking Shark Scotland run wildlife boat tours to see these majestic creatures. The peak season for spotting a basking shark is June to September. Bottlenose Dolphins are thought to be one of the most intelligent animals in the world. However, recent scientific studies have been carried out to try to establish just how intelligent dolphins actually are. These sociable animals live in small groups (known as a pod) of up to 15 dolphins. They are fun-loving and appear to enjoy jumping out if the water (known as breaching) and performing flips and somersaults even in the wild. 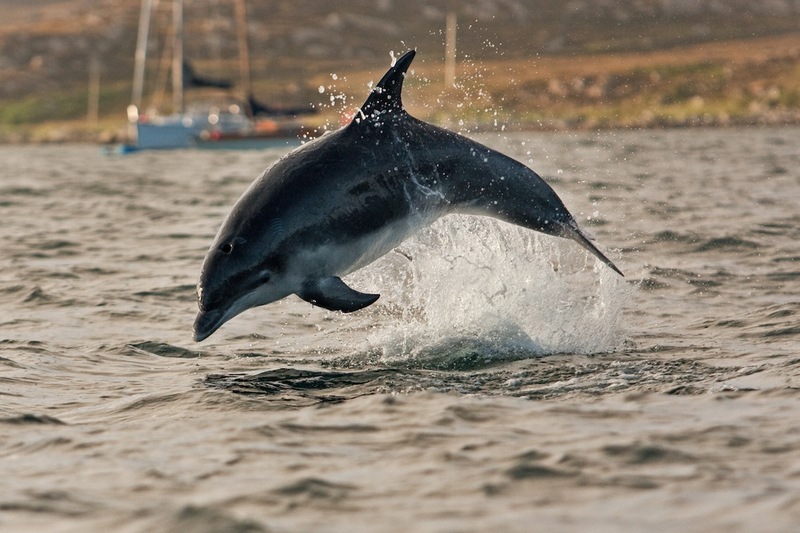 The Bottlenose Dolphin is the dolphin that is most likely to be seen in Scotland and around British shores. In Scotland, the Moray Firth provides a great habitat for these brilliant creatures and is a great place to visit for those hoping to spot a Bottlenose Dolphin. The best time of the year to visit is spring and summer as the calmer seas make them easier to spot. The Grey Seal is the larger of the two species of seals found in the UK. The smaller is the Common Seal. 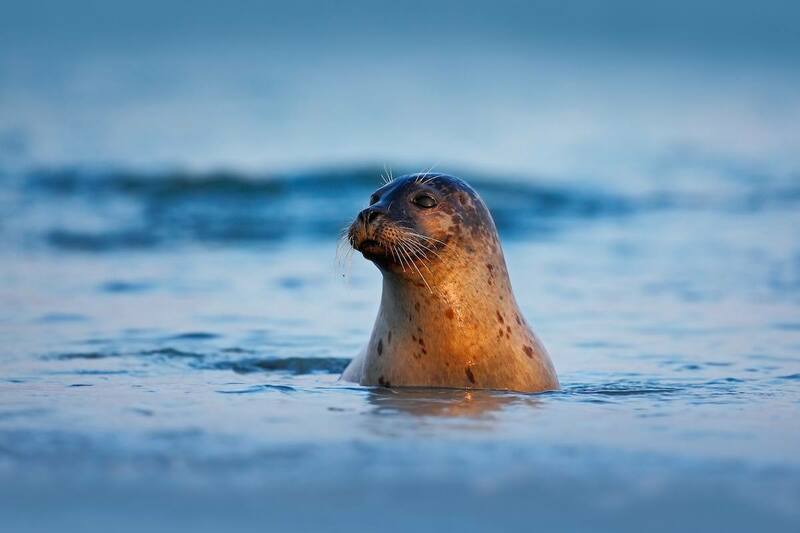 It is possible to tell them apart by looking for the Grey Seal's larger body, longer head and "hooked" nose. If in doubt, ask an expert! This mammal spends most of its time at sea, looking for and eating fish. However, they regularly swim to shore to rest and digest their catch of the day. Grey Seals are usually spotted on rocky shores and if you're hardy enough to be on the Scottish coastline between October and December you may spot white, fluffy pups. Pups will lose their white fur and treble in size before leaving the land to hunt for themselves. Another visually stunning animal, the Orca is also known as the "Killer Whale". 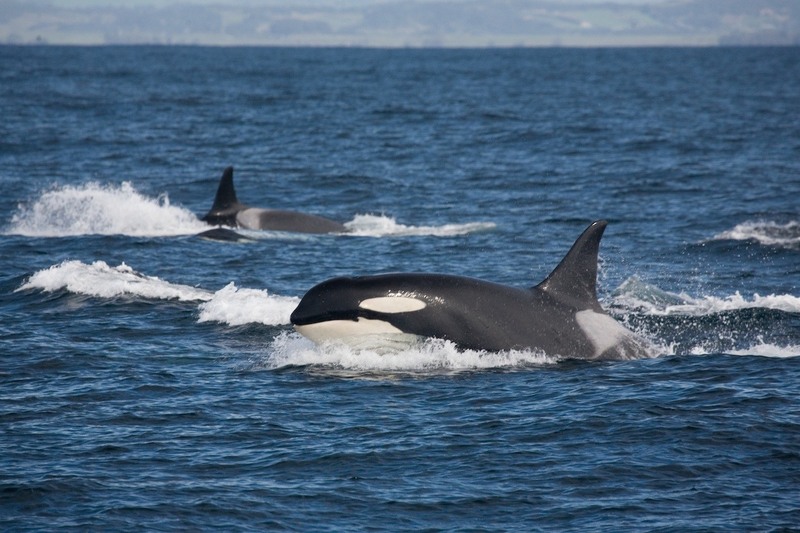 It partly lives up to its name by being one of the top predators in the ocean, although Orca are actually a member of the dolphin family. Like other dolphins, Orcas are thought to be very intelligent, and it is suggested that it has the largest brain compared to its body size of any animal. In Scotland, Orca are rare summer visitors to the islands of Shetland and Orkney where they feed on fish, seals and porpoise. Scotland has a plethora of interesting butterflies and other insects across its varied terrains - these are three of our favourites. 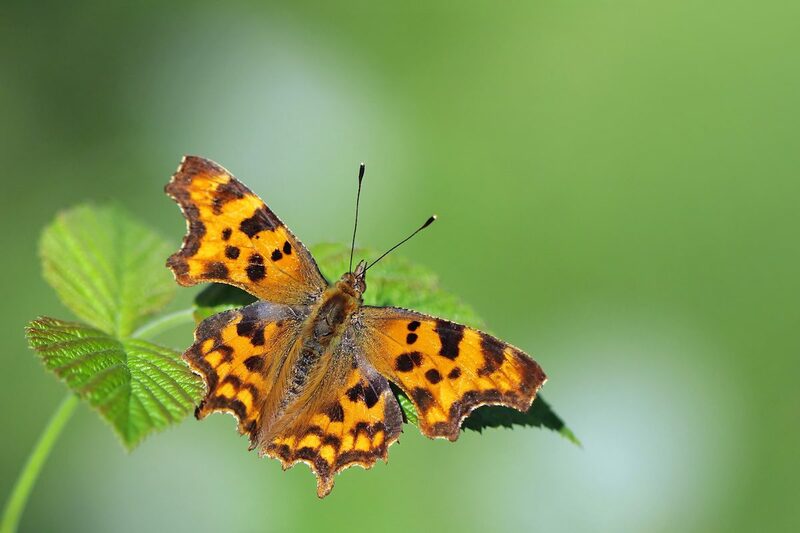 Only 30 years ago the Comma Butterfly was very rare in the UK, having previously declined in numbers and distribution until it could only be found in the Welsh borders. Today, the population has grown, distribution has spread and we now have Comma Butterflies in southern Scotland again. This butterfly is medium sized, has an interesting ragged shape, and is orange with brown spots. They are found in the edges of woodlands and most easily spotted in the spring and autumn seasons. 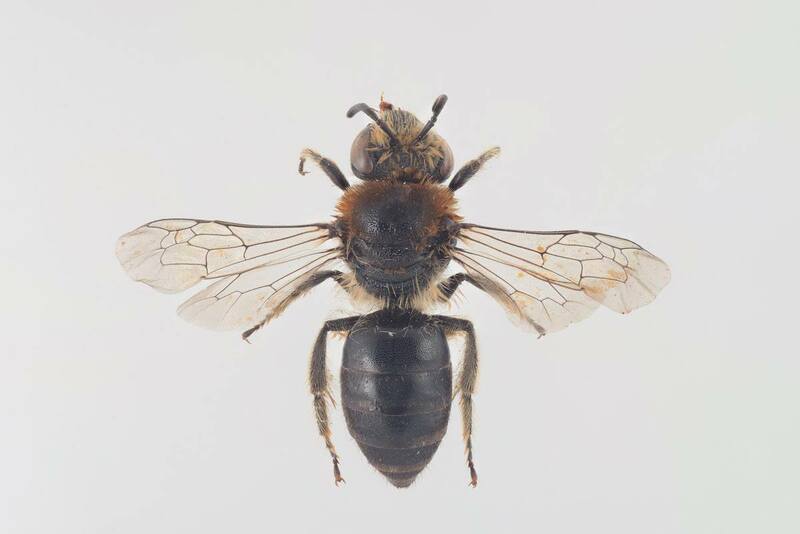 The Northern Colletes Bee is a species of bee found in northern and coastal Scotland, the Scottish Isles. These are rare and solitary bees that don't form colonies as many other bees do. The Northern Colletes' nest underground and therefore prefers habitats with soft ground such as coastal sand dunes. They are most active from late June until late August and this short period of activity combined with the remoteness of their habitats make them very elusive insects. With its striking markings and large size, the Garden Tiger Moth is a beauty to behold. In Scotland, it is active during the evening and nights of July and August. 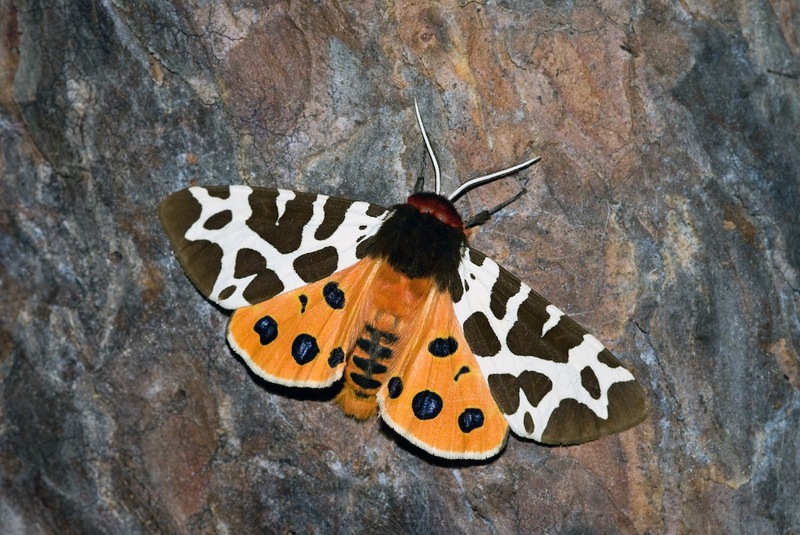 The Garden Tiger Moth is widespread and lives in scrub, woodlands, parks and gardens. Before taking flight it is an equally visual caterpillar - large, black with ginger hairs. Many people call these caterpillars "Woolly Bears"
Scotland is less well known for its reptile population, but there are some beauties. Due to reptiles cold-blooded nature, the cold winters of Scotland aren't easy for them to survive and therefore spring and summer is the time to catch a glimpse of these fantastic creatures. The European Adder is Britain's only venomous snake! But don't worry, it is of little danger to humans. Although a bite would be painful, it is only dangerous to the very young, old or ill. Adders are more scared of humans than we are of them so bites only happen when snakes are trodden on or picked up. Adders are usually reddish brown in colour with a dark brown/black pattern down their back. They hibernate during winter but can be spotted sunbathing or under rocks in Scottish woodlands and moorland during spring and summer. 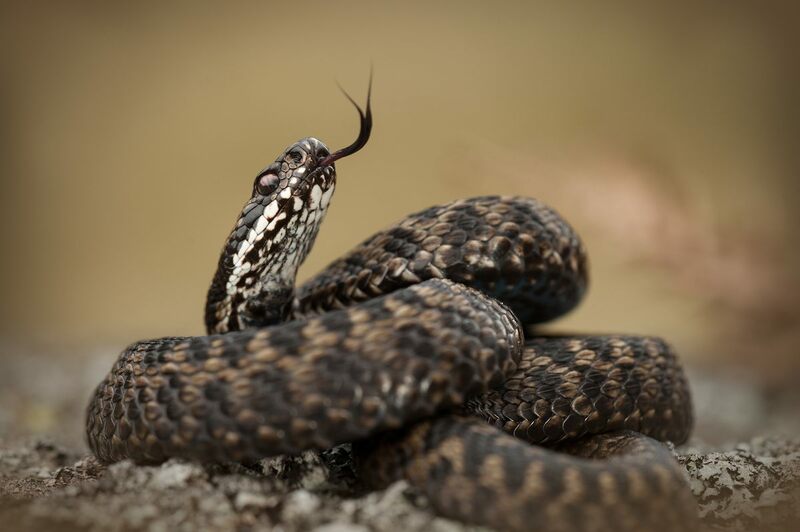 Adders can be found on the banks of Loch Lomond, very close to our holiday park. The Great Crested Newt is the UK biggest newt which can be found in ponds, woodlands and grasslands across the country. This creature is mainly dark brown/black in colour but has a bright orange belly. 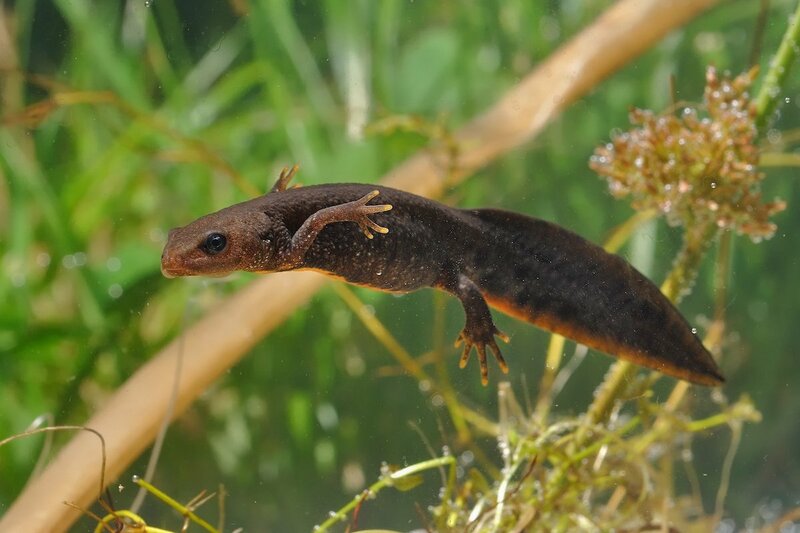 Male newts will perform impressive displays in order to attract a female partner - they dance by standing on their front legs and waving their tails around above them. Wildlife spotting doesn't have to end when the sun goes down! Below are our two favourite creatures that are mainly associated with activity during the wee hours. With a name like Brown Long-eared Bat, you'd be disappointed if this mid-sized bat didn't have really big ears! Well, it doesn't let you down. These bats are widespread throughout Scotland and as it flies at fairly slow speeds you may spot one of these nocturnal creatures overhead during summer evenings. 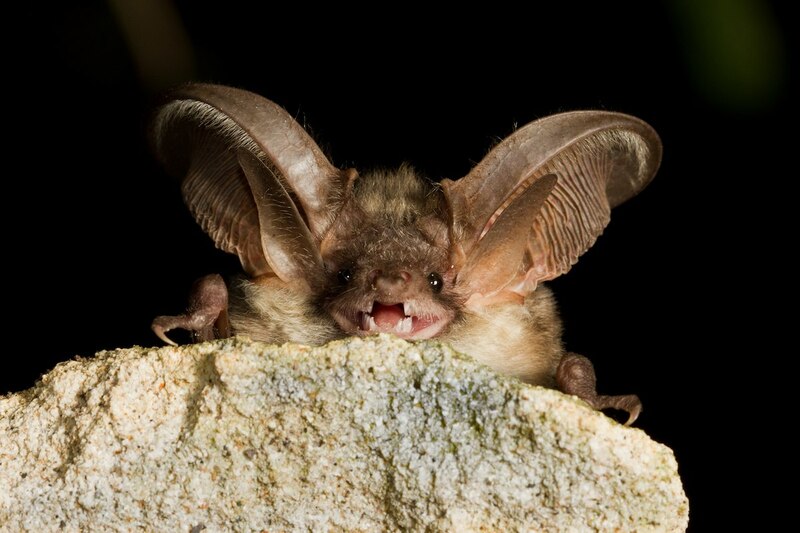 Brown Long-eared Bats eat midges (yes! ), moths and other flying insects using echolocation rather than sight or smell. Barn Owls are truly magical birds, with a heart-shaped face, white undersides and silent flight, this bird is often described as ghostly. 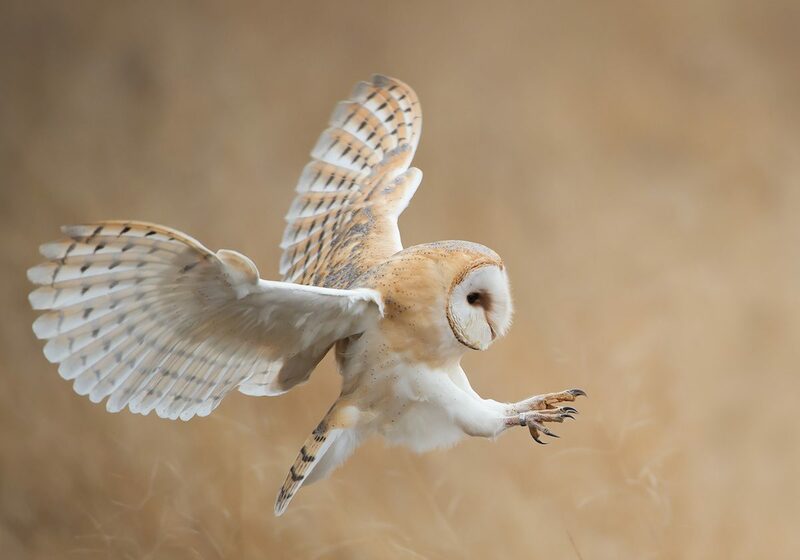 Although well know for nocturnal hunting, Barn Owls also hunt during the day when many small mammals are active and easily caught. Their heart-shaped face allows them to direct high-frequency sounds helping them locate mice and other creatures in long grass throughout the day and night. They can be found across much of the UK including close to many of our parks in Argyll. Want to visit Scotland and see the wildlife? We hope you've enjoyed our guide to Scottish wildlife and it has inspired you to visit Scotland. If you're looking for somewhere to stay during your visit, we'd love you to check out our 5 wonderful holiday parks in Argyll. The wildlife you can see in and around our parks is fantastic and, as you'll know from this article, we're well positioned for day trips to other wildlife hotspots around Scotland.